Authors’ original problem-solution-approach concerning aviation security management in civil aviation applying parallel calculation processes’ method and neural computers’ usage is considered in this paper. Problem statement by setting secure environment simulation tasks for grid models, and neural networks’ usage is presented. 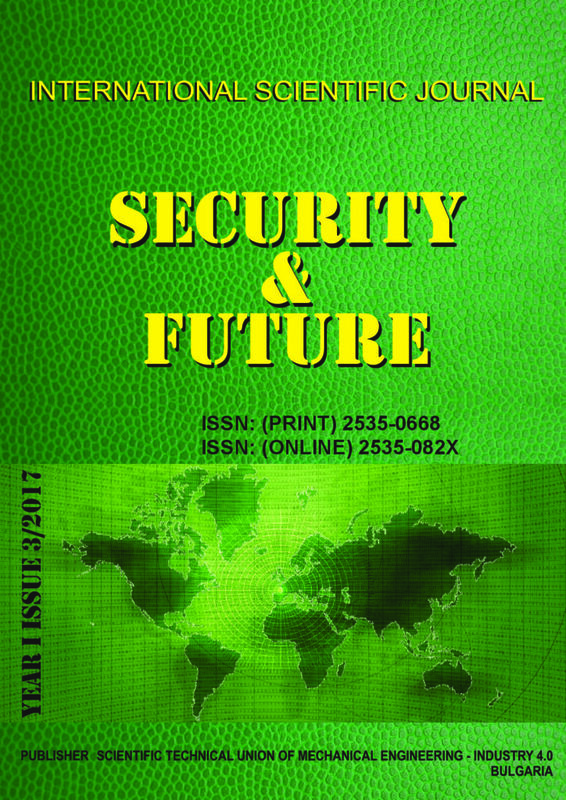 The research subject area of this paper is airport services in civil aviation, considered from the point of view of aviation security, defined as the state of aviation security against unlawful interference into the aviation field. The key issue in this subject area is aviation safety provision at an acceptable level. In this case, airport security level management becomes one of the main objectives of aviation security. Aviation security management is the organizational regulations in modern systems that can no longer correspond to changing and increasingly complex requirements determined by factors of external and internal environment, associated with a set of potential threats to airport activity. Optimal control requires the most accurate identification of management parameters and their quantitative assessment. The authors examine the possibility of applying mathematical methods for processes and procedures’ security management modeling in their latest works. Parallel computing methods and network neurocomputing for modeling control processes of airport security are examined in this paper. It is shown that the methods’ practical application is most effective in the decision support system, where the decision maker plays a leading role. Decision support system on the aviation safety management should include risk assessment subsystem of adverse events. Increasing data heterogeneity, fragmentation and volume, coupled with complex connections among specialists in disaster response, mitigation, and recovery situations demand new approaches for information technology to support crisis management. Advances in GIServices show promise to support time-sensitive collaboration, analytical reasoning, problem solving and decision making for crisis management. Furthermore, as all crises have geospatial components, crisis management tools need to include geospatial data representation and support for geographic contextualization of location-specific decision-making throughout the crisis. This paper provides introduction and description of Mobile GIServices applied to crisis management activity. The goal of Mobile GIServices in this context is to support situational awareness, problem solving, and decision making using highly interactive, visual environments that integrate multiple data sources that include georeferencing. Wasteless technology for processing of plastic waste and food packaging polymer, which is based on the usage of mechanical recycling as the most environmentally friendly way of plastic waste recycling has been developed. The introduction of various kinds of plastic waste, including plastic packaging waste, into sand cement compositions, allows, on the one hand, to dispose millions of tons of plastic waste and at the same time to reduce the negative impact of the last ones on the environment and humans. On the other hand, it allows substituting expensive fibreboard fibres by substantially cheaper polymeric waste, preserving and improving the properties of concrete mixtures, to which they were administered. The resulting product can be used as filler in a cement-sand mixture, which can significantly improve the physicomechanical, thermal and rheological properties of the product made on the cement-sand based mixtures. This paper examines the particular nature of the tactical and fire training of the special units of the Bulgarian Army and the Ministry of Interior and the ways of improvement. The complex use of tactical and shooting habits is a foundational element in practice when performing special tasks. The skillful use of the right solutions in extreme situations implies the use of all types of firearms at different distances in the course of psycho-physical loads under the influence of distracting factors, combined with the use of techniques of hand-to-hand combat and special means. Along with this, the personnel of these units should be able to move tactically, taking into account the peculiarities of the surrounding environment and to use the firearms effectively. Small UAVs and micro-drones are becoming more and more available to the general public for leisure activities and exploited in commercial applications. However, there is growing concern for accidental or even criminal misuses of these platforms. Radar systems can provide good capabilities, especially at long ranges and poor visibility conditions. Design considerations for distributed millimeter wave radar networks, particular suitable for high density populated urban areas, are given in the report. Special attention is given to: The choice of suitable working frequency bands; The use of antenna beam-forming networks, based on proposed by the author Random Phased Radial Line Slot Antennas and correlation signal processing; The radar signal waveforms in order to obtain un-ambiguity autocorrelation function and small radar resolution volume, as well as to the use of the external coherency principles of Doppler detection. In this work a new device for measuring the parameters of a fog is described. It is developed by our team and is called Fog Detector Indicator 1 (FDI-1). It is a part of a sensor system for control of the parameters of a fog which is used for decontamination of objects polluted by different circumstances. FDI-1 is a custom indication unit used in various systems for evaluation of fog parameters that gives the operator a visual result for the change of the input voltage. The main function of the indicator is to show the measured voltage applied on its coax input. Usually, this measurement can be done with a regular voltmeter, but the nature of the measurement of a fluid (fog) density, droplet diameter or contamination assumes very rapid changes of the measured values and also very short peaks of the maximum and the minimum of the measured variable. FDI-1 is can be used namely in such cases. Measurement device, specifically developed to capture and quantify low-amplitude surface photo-charge effect signals. It can also modulate and power a laser in various modes, and extract the processed signal as an output. The device is compatible with all of our surface photo-charge effect-based systems. The device is part of a portable system for detection of pollution in fogs or aerosols. The radioactive contamination has actual national and international importance. It is related to the increasing the prevention measures of accidents as consequences of exploring the nuclear energy for peaceful purposes, and in the military purposes as well. The optimization and management of operational systems for monitoring of radioactive background should bring the increasing of nuclear Bulgarian safety, and the quality of the population defense from expose to radiation, as a consequence of changing the characteristics of the natural radioactive background. Part of the global trends related with the development of armaments are currently focused on creating new samples of small arms and device which have increased combat effectiveness. Two of the factors that have a significant impact on combat effectiveness are grouping and accuracy in shooting. Installation of the silencer on small arms leads to a change of these factors, especially when must be shoot at long distances. The report scrutinizes an experimental investigation on the mathematical ratio of hit point on the target at shooting with small arms with fitted silencer of the chamber type with rubber chopper wheel. Field tests of fiber-reinforced concrete (FRC) and reinforced concrete specimens were performed by research team from Faculty of Civil Engineering, Czech Technical University in Prague, Czech Republic in cooperation with University and the Czech Army corps in the military training area Boletice. The test were performed using real scale reinforced concrete precast slabs (6 x 1.5 x 0.3m) with varying fiber type, fiber strength, fiber content and concrete strength class. TNT charges of 25kg placed at distance from the slab for better simulation of real in-situ conditions. The paper presents conclusions from sets of tests from 2016 and three previous in 2010, 2011 and 2013. Eleven specimens were tested in total. Two specimens were without fibres and had different concrete strength. Polypropylene fibres (PP) with length 50mm and strength of 600MPa and steel fibers (FE) with low ductility 25mm long and strength 400MPa were added in different content (0.5% and 1%) to the other nine specimens.